We do not eat light in the Far East. Even snacks are heavy and sometimes full meal sized. Carbohydrate rich noodles and rice cakes are very popular choices. 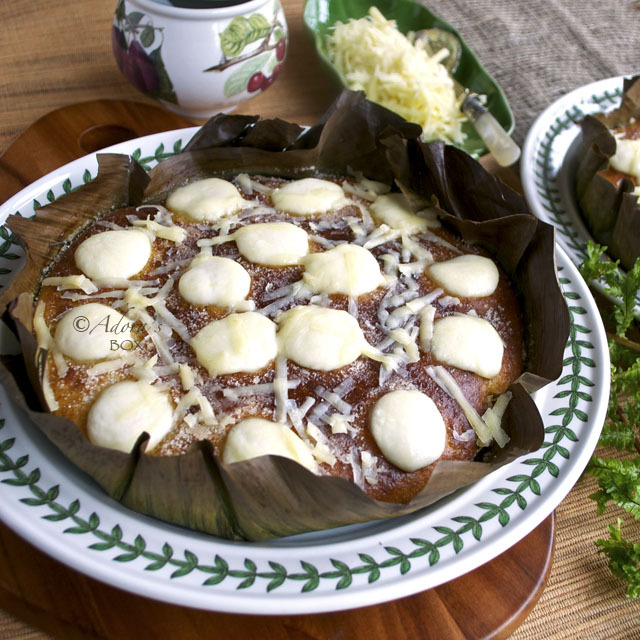 Bibingka is a type of sticky and sweet snack (usually made of rice) that is sold everywhere in the Philippines. 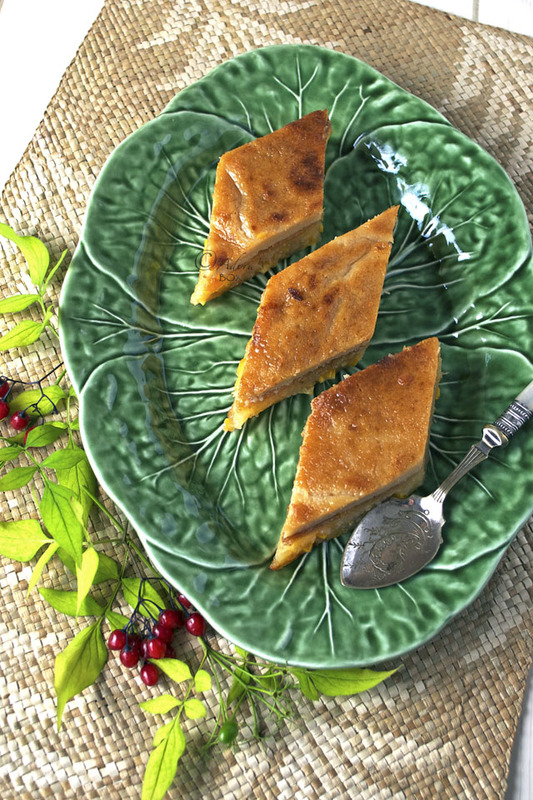 It is the Eastern counterpart of cakes and a lot of Asian Countries have their delicious array of these type of cakes . Although they are eaten as snacks on ordinary days, they are also served at feasts and celebrations. Bibingka used to be peddled in the streets by ambulant vendors balancing a bamboo tray atop their heads. 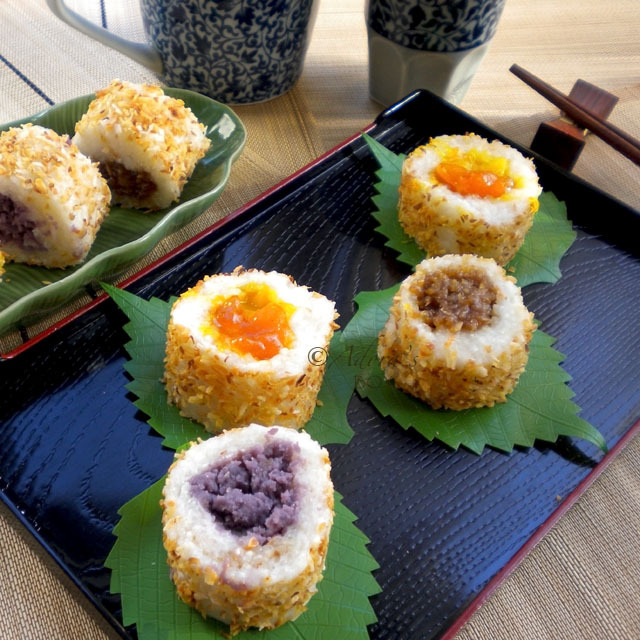 Nowadays, it is also sold in upscale shops in malls where people can eat or buy to take home. 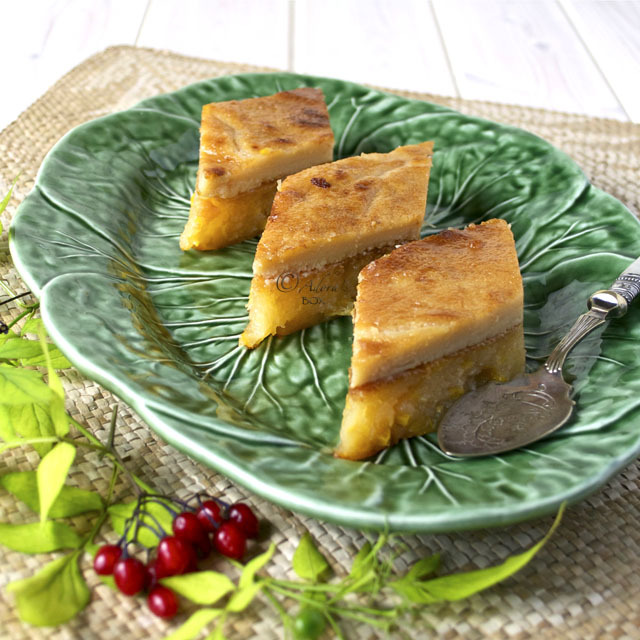 This bibingka is a fusion of two Filipino snacks: Maja Blanca which is made with coconut milk and sweet corn and cassava bibingka which is made of cassava (a tuber). 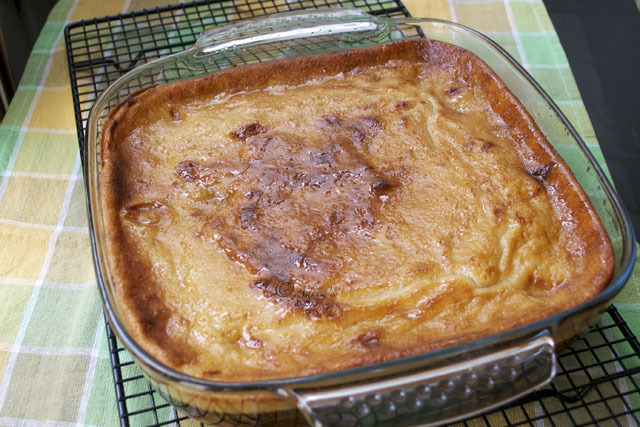 It has a sweet custard topping that is baked until browned. Mix all of the bibingka ingredients. 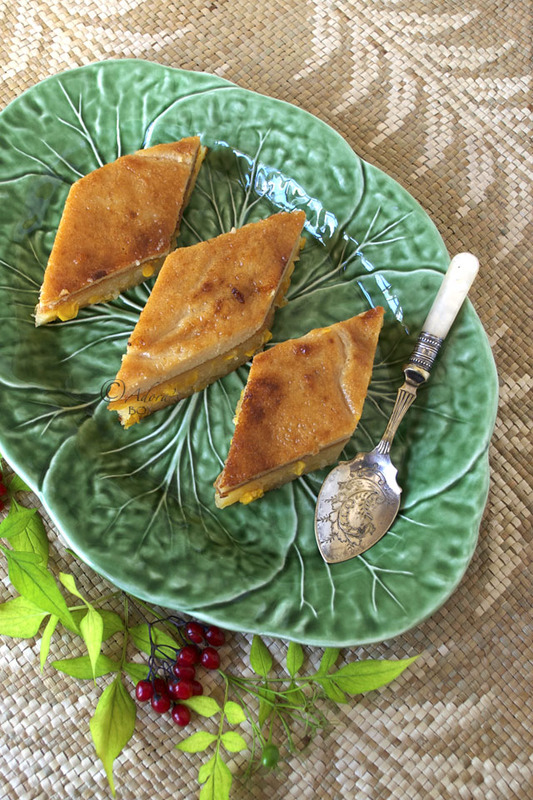 Pour into a lined baking dish and bake in a preheated oven 350° F/180° C for 1 hour and 20 minutes. Mix the topping ingredients, pour on top of the baked bibingka and bake again until puffed up and browned (about 15 minutes). I LOVE bibingka. My husband's family always has homemade bibingka at their family gatherings. When I was in the philippines last month I had the most delicious bibingka in Vigan. They also had this sweet sticky rice thing that came in a bamboo stick that was DELICIOUS. i love this recipe. especially as we use cassava too. i have to say i really like your space and will be back to explore indepth. i love how you fused them together. 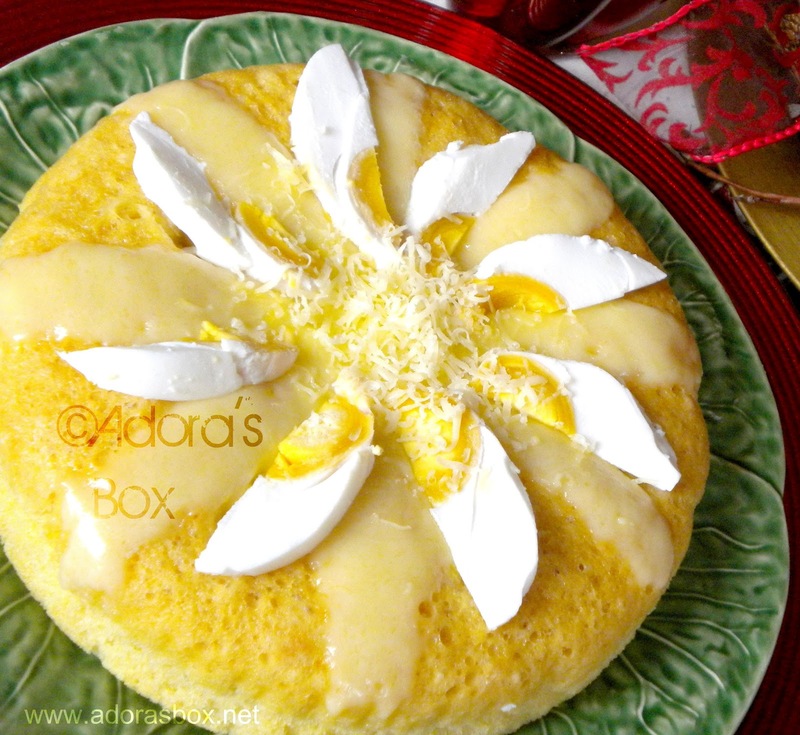 I've been wanting to make bibingka now that you gave me a template, I will make one soon. thanks for sharing! we absolutely do not scrimp on our food! 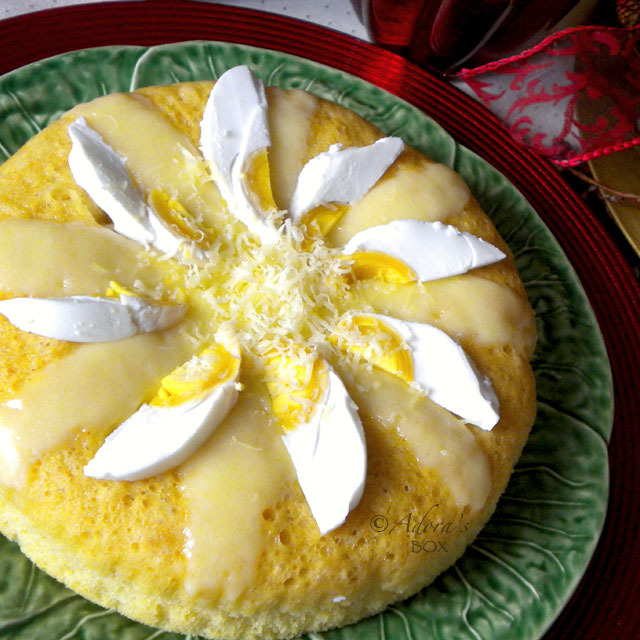 the bibingka looks rich and creamy and scrumptious! I have yet to make bibingka. It looks wonderful. Very nice photos! Food looks delicious!